Ubuntu/Android dual boot developer preview released! 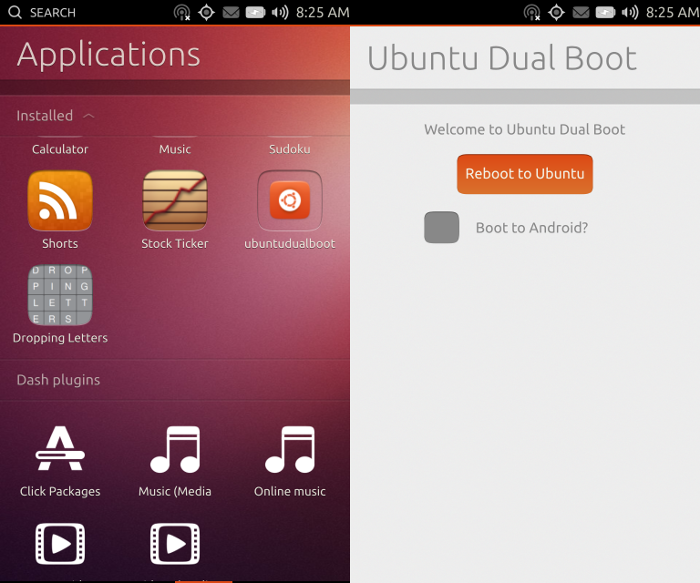 Ubuntu and Android dual boot developer preview has just been announced by Canonical. It's now possible to run Ubuntu Touch alongside Android as a dual-boot operating system in supported devices. Though it is meant strictly for developers and not for regular users. A dual boot phone gives you the ability to switch between fully functional Android and Ubuntu OSes seamlessly. And how do you make it to dual boot with Android? "There's an app for that." 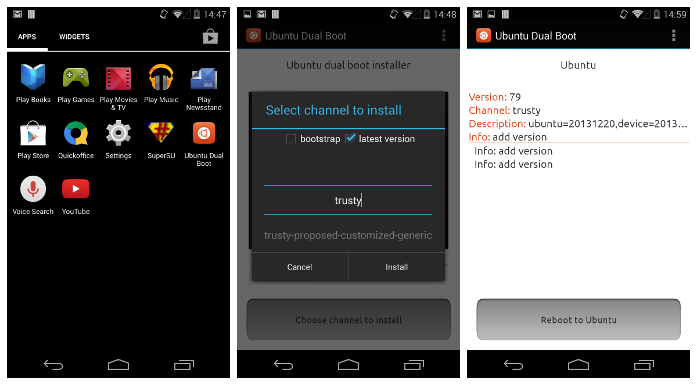 The dual boot app in Android will enable you to install the version of Ubuntu of your choice in supported devices, and to reboot into Ubuntu. Nexus 4 device (other Nexus devices should in theory work but haven't been tested yet). Android 4.2 or higher running on the device, either stock firmware or based on CyanogenMod or AOSP. Note that Android 4.4 requires additional steps to get phone calls working on the Ubuntu side. 2.7GB of free storage on the device to install Ubuntu. ADB tools running on your desktop computer. The device needs its bootloader to be unlocked and USB debugging enabled. Read the Ubuntu Wiki on dual boot installation for a more clearer picture. I don't have a nexus device to play with and hence I can't comment on its performance. But many users are reporting average to good experience overall. Let the developers know your feedback.